There are many companies that can provide you with a small business website package, but we’ve been doing it for almost 15 years. Helping to develop everything your business needs to get started, including a logo and a website. Not only will we develop a great visual for your company but we’ll also help drive traffic to your website, which in turn will help generate business. 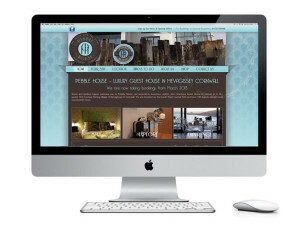 What does a small business website package include? Our small business website package will include everything you need to get your business started on the Internet and more importantly a web presence, for example if someone searches Google for your business we’ll help to ensure that your small business comes up in the search results. Once they find your website they’ll see a professional company that uses the most up-to-date mobile and tablet friendly website. A website that you as the owner will be able to fully manage, you’ll be able to change prices, information, images and even video content when you want easily online using the best, most user friendly content management system in the world. Trusted with the development of their logo, website and internet marketing Pebble House has also had the number one position in all major search engines which has proved to be a huge asset for them in terms of driving new business. 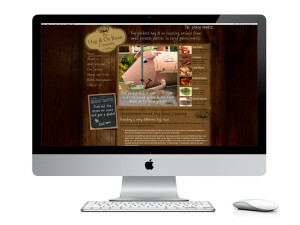 Small business owner Richard needed a company to design a logo, website and help market his hog roast business. Without a solid website presence, great visual and professional website it was unlikely that the new business venture would succeed. Our website marketing focused on the Midlands and page 1 positioning was essential to the success. Richard receives up to 10 enquiries per week and has a great conversion rate. Two years on and his business is a huge success.